The use of bioscrubber is attracting increasing attention for exhaust gas treatment in intensive pig farming. However, the challenge is to improve the methane (CH4) removal efficiency as well as the possibility of pig house wastewater treatment. Three laboratory-scale bioscrubbers, each equipped with different recirculation water types, livestock wastewater (10-times-diluted pig house wastewater supernatant), a methanotroph growth medium (10-times-diluted), and tap water, were established to evaluate the performance of CH4 removal and wastewater treatment. 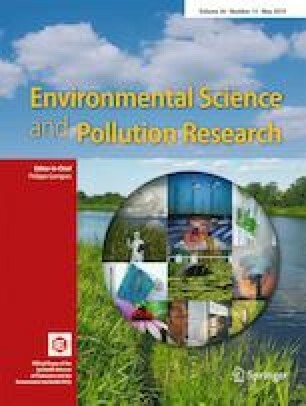 The results showed that enhanced CH4 removal efficiency (25%) can be rapidly achieved with improved methanotrophic activity due to extra nutrient support from the wastewater. The majority of the CH4 was removed in the middle to end part of the bioscrubbers, which indicated that CH4 removal could be potentially optimised by extending the length of the reactor. Moreover, 52–86% of the ammonium (NH4+-N), total organic carbon (TOC), and phosphate (PO43−-P) removal were simultaneously achieved with CH4 removal in the present study. Based on these results, this study introduces a low-cost and simple-to-operate method to improve CH4 removal and simultaneously treat pig farm wastewater in bioscrubbers. The authors express their sincere gratitude to Wilfried Gläseker for his technical assistance. This work was financially supported by the German Federal Ministry of Education and Research (BMBF, support code 033RD1102B), National Key Research and Development Plan (Grant No. 2018YFD0800100), the Beijing Municipal Education Commission Joint Building Project (35030004). The PhD scholarships of Fang Liu were supported by the China Scholarship Council (CSC) and Universität Hamburg-DAAD co-funded Merit Scholarship.